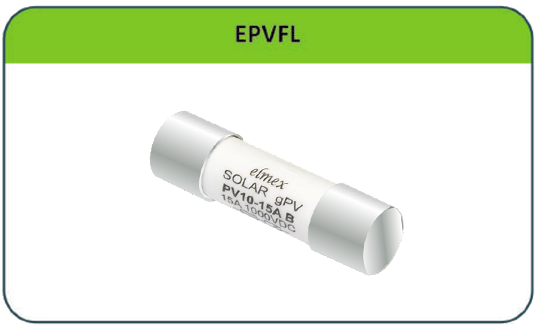 elmex PV Solar Branch Inline fuse connectors EBPVFC4M & EBPVFC4F are applicable for parallel connection for Photovoltaic string protection depending on on-site application. Branch inline fuse connectors have 3 branches, 2 for inputs either male or female & 1 for output either male or female. These connectors have plug & socket design & are constructed using fame retardant engineering thermoplastic suitable for exposure to UV rays & for application in PV power generation system. elmex PV branch inline fuse connectors are suitable for use with gPV (Cylindrical) fuse of ø 10 X 38 mm. elmex gPV fuse link suitable for 1000V DC photovoltaic applications.